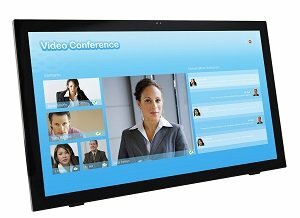 Planar Helium PCT2485 is a 24" multi-touch monitor with an edge-to-edge glass surface, whide viewing angle, and built-in HD webcam. The monitor includes the sleek, easily-adjustable and ergonomically-friendly Helium stand for comfortable and controlled user experiences. The Planar PCT2485 is optimized for the all-new touch interface of Microsoft Windows 7 and 8 and is ideal for use by software developers and designers, corporate power-users, enthusiasts, and retailers. 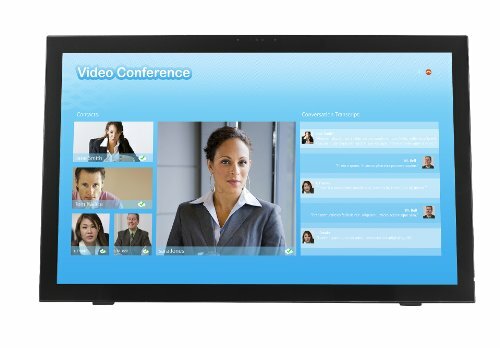 Planar Helium Series monitors use projected capacitive touch technology and can track up to 10 touch points, resulting in an extremely responsive touch screen, offering accurate swiping and gesturing. 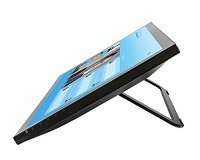 The unique, easy-to-use desk stand design is easily adjustable from 15° to 70° and flat, creating the ultimate touch experience on the desktop. Planar Helium Series monitors support both portrait and landscape orientation as well. A built-in HD webcam and microphone connects users through the internet and the built-in USB hub allows users to connect other peripherals directly to Planar Helium. Planar Helium Series monitors include a wide range of video inputs, including analog, HDMI and DisplayPort - allowing for easy plug-and-play into practically any existing network.